A google search for those terms found this useful blog post but the suggestions didn’t work for me – the firewall service was stopped, but having it running didn’t help, and the system wasn’t set to Italian region (which is on the Lync known issues list), but even so any changes to time format settings didn’t help either. The fix, as it turns out, was a simple one. 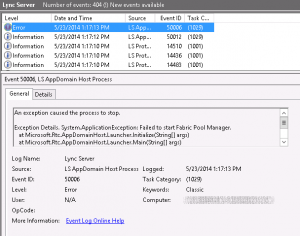 The Performance Logs and Alerts service had been disabled in the customer’s standard Windows Server build. 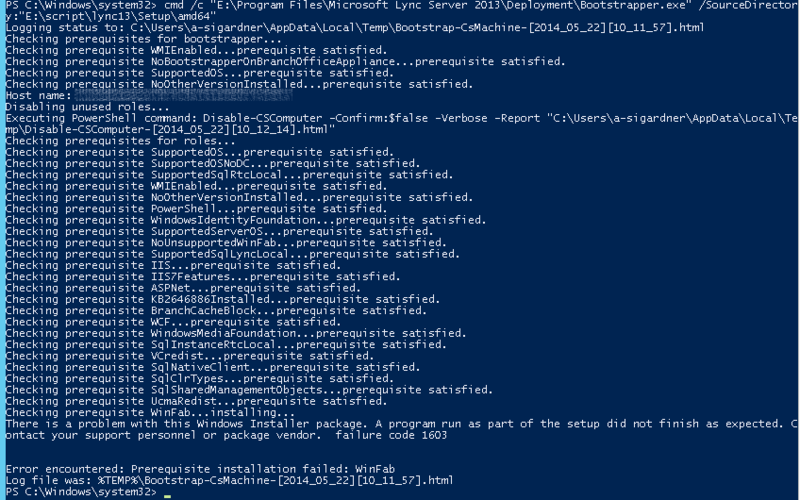 Setting this service to Manual or Automatic allowed Windows Fabric to install correctly and the Lync install to proceed. 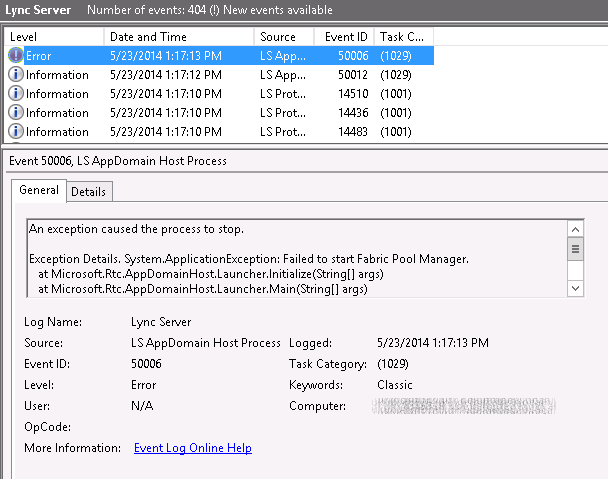 I did hit a few issues with Windows Fabric after this – if you see anything like the below (event 50006 on LS AppDomain Host Process), uninstall Windows Fabric via the Control Panel > Programs and Features, then reinstall Windows Fabric via the msi.